“Let Putin Bleed,” taunts the Council on Foreign Relations, hoping Putin gets sucked into a quagmire in Syria. But Putin’s already accomplished in one day what America couldn’t do in a year, taking out the ISIS Command Center in Raqqa while America just blows up desert sand. Putin’s strategy is clear: Wipe out ISIS and secure a stable Damascus. He’s only just begun. [Clip: “On Wednesday afternoon, the Russian Air Force began to conduct air raids against the Islamist rebels of Jabhat al-Nusra inside the Latakia and Hama Governorates in the western part of Syria. “These provinces would reportedly be the primary target for the Russian Air Force and the Syrian Arab Army. According to scrappy reports, the Russian Air Force targeted the areas of al-Lataminah, Kafr Zita, the Jabal al-Zaweed, Kassab, and Deir Hanna. “At the moment airstrikes are aimed on the Syrian branch of Al-Qaeda. However, it’s clear that the ISIS positions inside eastern Syria will be targeted in the nearest future. And Putin’s strategy is gaining wide consent. But Putin’s no lackey. He nails America to the wall. [Clip: “It seems that instead of learning from other people’s mistakes, some prefer to repeat them and continue to export revolutions, only now these are “democratic” revolutions. Just look at the situation in the Middle East and Northern Africa already mentioned by the previous speaker. “Of course, political and social problems have been piling up for a long time in this region, and people there wanted change. But what was the actual outcome? Aggressive intervention instead of bringing about reforms, destroyed government institutions and the local way of life. And that’s what America—under the power of the Jewish Lobby—has been doing in Syria. But Putin poses a question that will go down in history. Jewmerica realizes it but couldn’t care less. To destroy the Syrian government, a bulwark against the sprawling Zionist beast—even if using terrorists does the job—is the Zionist aim. Another war for the Jews is what Syria’s all about. By bolstering the Syrian army with airstrikes, S-300s, and intelligence, he’s putting the brakes on Israel’s Master Plan. Trump likes what Putin’s doing too. “Well, we spent two trillion dollars, thousands of lives, wounded warriors all over, and Putin is now taking over what we started, and he’s going into Syria. “If he wants to fight ISIS, let him fight ISIS. Why do we always have to do everything? But he wants to go in, he wants to fight ISIS. “Now, he wants to keep, as you know, he wants to keep your leadership, your current leadership, Assad, in Syria. Right. But the “Axis of Resistance” against Zionist hegemony—Syria, Iran, Lebanon…Egypt too—wants Russia to stay. For once Putin knocks out ISIS in short order, he’ll send in his diplomatic corps and it’s a whole new ballgame in the Middle East. It’s a new global game as well. The future belongs to Russia and Jewmerica’s dying Empire has no clothes. I don’t see what the big deal is. As long as America maintains cheap gasoline prices, it doesn’t matter who get stuck in the quick sand that is the Middle East. It will give Putin something to do. Apparently warring people war because they are no good at making kool things. Happy birthday to Vladimir Putin! You’re absolutely right. Putin doesn’t fool around, as Obama has done. He cuts right to the chase when the situation calls for it. He also has better fighter-bomber jets with highly-trained pilots to do the job. Now, Putin has caught the attention of Iraqi and Afghan leaders, who also want Russian help in eliminating terrorist cells in their countries; and, the Pentagon is beside itself with utter frustration. Regarding Afghanistan, he can send in his Chechen volunteers to do the job there. I’m still disappointed that none of your wealthiest readers have yet to contribute even a dime to your coffers. Apparently, they’re willing to read your posts and watch your videos, but they’re unwilling to contribute a dime. Certainly, they have the means wherein to give between $5K and $10K to help you out … instead, they hoard their wealth. I’m still praying for you, in the hope that those who have the means will contribute generously to your coffers to fill them. Brother Nathanael, is totally spot on, always. I don’t always have it but I give what I can, $25 now and then. We all have to support this work. Daniel, your reply worries me that you don’t care, that you are superior and that you think that Putin is the warmonger. If that is the case you merely reflect the staggering hypocrisy of US Foreign Policy delusions. When the US starts treating the rest of the world as equals it may be surprised to find out how many real friends it has forsaken all the while it has been clutching a toxic enemy next to its heart. Without doubt thermonuclear Israel has plagued the US (and the West) by stealing more secrets and committing more espionage, fraud, discord, drug importation, theft, murder and treachery than ever could have been achieved by all the imaginary bogeymen of Soviet Russia, Red China, North Korea, Iran and mighty Cuba combined! The Zionazis are now glove-puppetting Washington into playing hot hardball with Putin. The majority of the “Freeworld Media” of the ‘freedom loving West’ are finding a whole new cast of phoney “experten” to explain away Russia coming to the rescue of Syria and Assad against ISIS and the rest of the gangsters supported by the USA and its brainwashed yap dogs in Australia, Canada and UK. Thermonuclear Israel has been deliberately sowing distrust and discontent in the Mid East. The better to have them fighting amongst themselves and to hell with the fallout, the injustice, the destruction and mass murder by proxy. Foreign Aid is meant to go to the poor and starving and needy around the world, so how come 80% of the US FA budget goes to thermonuclear Israel? How long before Trump gets his thoughts on Syria rewritten? What is Bernie’s opinion? The Russian Air Force started to bomb the # ISIS across Syria! The party has begun, shelling Russia crushes all vermin watered by the US and the EU, hundreds of terrorists of the Islamic State die, Yankee adventure ended believed that Syria would be like Libya. “The Russian Air Force deployed in Latakia last night began heavy bombing against the positions and supply routes of the Islamic State, all this together with the Syrian Air Force is also beginning to use the new aircraft to pilot the Russians in the future without Russian help. Areas that were and are bombed. Al-Raqqa - The first and most important bombings were against the city of al-Raqqa bastion of ISIS and where the large underground stores of weapons were also bombed. Supply routes using ISIS passing through the outskirts of the city, reaching from Turkey to Syria and Iraq by one of the largest roads passing along the Euphrates River, this road is the jugular of ISIS without it could not supply weapons or new fighters or Syria or Iraq. Deir ez-Zor - The bombing also focused on helping the Syrian Arab Army troops that are surrounded by the Islamic State in the city thus controlling the airport and all military bases and that the ISIS unsuccessfully tries to seize. Homs - Palmyra - The Arab Syrian Army took 2 days ago communication antennas and Palmyra Castle near the town and the ruins are now preparing for an assault on the city. The Russian and Syrian forces bombed the terrorists ISIS that focus throughout the area to try to repel the offensive. All these bombings focused particularly against the Islamic State leaving at least 150 dead terrorists and destroying weapons, vehicles, tanks, and thus blocking the free movement of ISIS for the areas they control. I don’t think anybody should be bombing Syria. Putin and Russia are to be admired. A point is that U.S.A. should have been able to eliminate much of ISIS even if not all. Obviously the desire was missing. The discerning see the C.I.A. with Mossad, MI5 and Saudi as being the culprits behind the formation of ISIS - sorry, it’s now ISIL. Russian planes and weaponry prove to be much superior as their Moscow Parades did reveal. One ponders on the Christian Zionists’ false anticipation of Damascus being eliminated. The reality now appears to be that Assad will remain and so also Damascus as capital of his Syria. That should raise a large shout of dismay from the Christian Zionists. They blindly consider the city, about which prophecy has been fulfilled, must disappear off the map in order to fit their plan of End-Times. It seems their leaders have disregarded its actual historical event and the anticipated destruction of Damascus for them would take the world closer to the millennial rule of Messiah, who came and went! Current events from the Opposition To Peace, would indicate a return to the days before World War II. Then, as true history reveals, Hitler was demonized. Despite all of his efforts to ward off war with Britain, he was unsuccessful. The Jews’ determination prevailed. There could not be peace. Then when Germany proved to be the victor they deceitfully brought America into the fray. The Jewish Press full of its evil propaganda turned a world against him. The New York Times now is following their usual procedures. Journalists write that ‘Putin is not bombing ISIS. They are attacking civilians and the Rebels’. The rebels turn out to be 3,000 to 5,000 moderates who are no threat. Putin waste his time on them? His astuteness and Russia’s military might and planning would never drop laser-guided bombs on such targets. In any case, videos of the attacks and successes against an obvious ISIL are readily available to the public. Real Rebels are fleeing and some surrendering. The fact of the matter regarding civilians is that ISIL is using some as human shields. The customary picture presented to American citizens is fiction. According to Brother Nathanael’s belief, it could indeed be the end of Jew-America. Colin Powell is reported as having said that the American Empire is over. Regarding Christian Zionists, some of them may wake up to the truth. There will be much regret and sorrow but will it result in repentance before God? The call is for the righteous following truth to stand firm and perhaps encourage those who would be willing to have their eyes opened. Kingdoms and empires rise and fall. History marches on inflexibly to its next phase. Time is the possession of God. Future events remain unknown. There is not a human being who is able to predict fully what lies ahead. After watching John Key talk about ‘removing Assad’ and ‘Assad must go’ .. I have become a firm believe in Vladimir Vladimirovich Putin. Time for Regime Change — in New Zealand! Interesting to hear Trump support Putin. He made a lot of deals with Jews in his business and private life, but he also wants to make deals with Putin when President. I think Donald Trump is very smart and can not be easily dismissed as a Jew controlled puppet, we have to look at his actions. Is he a glutton? Does he use profanity? What are his weaknesses? Glory to God. And glory to Russia. Our Lord Jesus Christ will triumph. Steven Lendeman had an interesting column last week. Reportedly, four Israeli fighter planes tried to sneak into Syria to bomb Assad’s people and they were immediately identified, intercepted, and chased from Syrian air space (with their tails between their legs) by Russian fighter pilots. Lets face it the IDF, the Infanticide Defence Force, is afraid of getting into a dog fight with the Russians. The IDF’s specialty is killing unarmed quadrapeligics, journalists, women, children and peace activists. The cowards can’t even deal with children throwing rocks. They shoot them. The Israelis consistently diplay a level of cowardice previously unheard of in the history of the human race. I think Germany, the industrial engine of Europe, has begun to realize that her future lies with Russia, and not with jewish controlled America, where Jewish leaders like Victoria Nuland (Noodleman), in their arrogance, say things like F— Europe. The flooding of Germany by Angela Merkel (whose mother is reportedly Jewish) with refugees, all because of the problems the Israeli/CIA have caused in the Middle East, is also going over like a lead balloon. The future of the world will be the co-alition of Christian Germany and Christian Russia. As for the war mongering Jews. I think they have just begun to realize what will soon happen to them, as it has happened to them more than 100 times before and entirely because of the way they behave. Welcome to War Weary. I’m sick of all the fighting. It’s all just stupid now. I hope Putin doesn’t kill Al-Baghdaddy and “Jihadi Johnny”. The CIA spent as much money training these guys as they did Tim Osman (Osama bin Laden). “Insane” McCain must be scared that many of his best friends are about to die. God speed Vladamir! Here’s a prognistication: When Russian forces become “successful” in Syria, Amerikan/NATO forces will come rushing in to defeat the “out of control” Russian forces who have suddenly become “rogue monsters” in the region. Just watch for the spin to shift and morph regarding Putin and Russia. As long as Russian forces struggle, make mistakes and seem to be less than qualified to handle ISIS/ISIL forces, they will be permitted to continue in this campaign. Once success comes within the Russian force’s grasp, they will become the target. Being a peacemaker, Putin will follow this age’s current protocol of engaing militarily until the opposition becomes willing to engage in diplomacy which will lead to neither victory nor defeat for those involved. Unfortunate for us, this protocol only allows for further military engagements in the future with no lasting peace. Such protocols only benefit Israhell as it profits from all conflict while encouraging it. Furthermore, all miliitary conflicts since the Spanish-American War have been contrived to considerable extent for the purpose of keeping the human population attenuated while enriching a few people who “invest” in military conflict. We live in a “twilight” of history where “neither-nor” exists. Only our Lord and Savior Jesus Christ can conquer this condition. According to His Word, He will. Let us hope Putin will succeed, and that peace in the Middle East will prevail without it dragging all of us into WWIII. Excellent work and video Brother Nate!! Like Putin & Russia don’t have better things to do as they fight against terrorism and westernized “democracy” encamped all over the Middle East and also at Russia’s borders as well! Funded and directed of course by America-the-not-so-great so that Israel will someday be mighty in their own eyes! God bless the moral & righteous fortitude of Russia and the great courage of Vladmir Putin! Here is a trouble-maker in the Ukrainian government who supports ISIS and hopes that this Mossad-CIA outfit will direct its bloody activities against Russia. No mystery in the story when one discovers that the trouble-maker turns out to be a JEW– just like all the other trouble-makers pushing for WW3 (i.e. NULAND, PYATT, KOLOMOISKY, POROSHENKO, YATSENUK). See here. May Almighty God mightily Bless you Brother Nathanael for preaching TRUTH, since no major media in Jewmerica preaches truth anymore. God Bless Christian Putin on his birthday too. It was interesting, to say the least, that Jewmerica can’t even sneak drones into Syrian airspace without Russia jets swarming them. I hope Russia crushes the Jewmerica/israel created ISIS. The YouTube video “Putin & Netanyahu: Our ties are getting stronger and stronger” published only days ago (21 September 2015). What is Putin doing getting up close to this man? If the Western nations obey America it should be understood that America is a slave to world Jewry and Freemasonry. PURE HEAVEN - VERY INSPIRATIONAL - THANK YOU, Brother Nathanael! Robert Capa, (born Endre Friedmann) was a famous photo journalist and war photographer - best known for “The Falling Soldier” - sometimes called, “Death of a Republican Soldier” - allegedly taken during the Battle of Brunete in Spanish Civil War. Regarding it, Capa later said he simply stuck his camera over the parapet and clicked away, not knowing what might appear…. However, The Falling Soldier, “universally recognized as one of the greatest war photographs ever made!” has since been proved to be a fake - as the picture was taken some miles distant from where the Battle of Brunete was actually fought; as well as being taken mid-morning - when the battle was fought late in the afternoon. Capa was the sometimes lover of the photographer, Gerda Taro (born Gerta Pohorylle). He toured Israel shortly after its founding and took the photographs that accompany Irwin Shaw’s (born Irwin Gilbert Shamforoff) book, “Report on Israel”. “Capa” died shortly after stepping on a land mine in French Indochina. “Taro” was run over and killed by an army tank. Irwin “Shaw” died of undisclosed reasons in 1984. Putin in his own words US vs Russia. Must see video. Brother Nathananel is on the money in terms of the contribution Putin is making to rectify the corrupt hegemony which the USA has created since the fall of the Soviet Union. The speech by Putin in which he stated a bipolar world was solution not a one world NWO, was a declaration of war to the NWO. The Cold War with the Soviet Union and the USA, etc created a balance of power even though it was unpleasant as both had equal strength. War is a natural state in nature with balance. The drive of living things is survival. The NWO has been long in its development. The majority of western nations are allied with the NWO. There is great resentment in the world. The exploitation by the West regarding the assets of other nations is a burning issue world wide. Rothschild, Rockefeller are exposed. Documented facts support this statement. Oil controlled by the U.S. dollar is king of the world. Central Banks run the world as puppets of their master. It is said that Rothschild has 50% of his investments in ASIA. Antony C. Sutton-NWO Wall St. Financed Nazis 1920s & 30s-You Tube and (The Best Enemy Money Money Can Buy-Antony Sutton-You Tube). Antony Sutton has produced documented facts pertaining to these issues. War Is A Racket-General Smedley Butler-You Tube tells about the conspiracy in America to overthrow the U.S. Constitution in the 1930s.This act was actualized by U.S. Corporations-J.P. Morgan, etc were implicated. FDR did not prosecute those who had committed TREASON. After WWII the USA financed the rebuilding of Europe and Asia. The reason the USA is on verge of financial collapse is that the bankers and their corporations, and some private sector business enterprises went offshore. This has created no jobs, or infrastructure, and no industry in the western world. Refugees and immigrants have and are destroying the West. Open borders USA, etc. The question must be ask who controls the world.Factions control the world, but the master rules.The apex of power is exposed. Norman Dodd and Antony Sutton have stated who pulls the strings. The 12 families and at top Queen of England-Rothschild Finance, Jesuit Intelligence-Vatican-Knight of Malta and St.John. Eustice Mullins-NWO-You Tube fill in the blanks. Hegel dialectic has been used to creates wars and divide and conquer.Drugs and brainwashing are used to control the masses.Propaganda now can be the lie and it is okay in USA. Russia and Germany have been allies and oil is a dominant factor in Germany.Russia and Germany have made agreements regarding this matter.Germany and Russia were allies prior to WWII. The EU is fascist as it is not elected by the citizens of Europe. The EU is in a serious condition. Germany is the master of the EU. The United Nations opposes the U.S. Constitution making it an enemy of America. Opposed to Second Amendment, etc.It supports Agenda 21. If China was develop by the bankers and Russia and China are allied what will the future bring? Is it possible that the end game is for the West to be conquer by these forces. The NWO wants One world Government. Antony Sutton, Eustice Mullins-You Tube have shown how all sides are played. Hegel Dialectics. Thesis-Antithesis-Synthesis??? If the bankers have done this before and they want the NWO how do you know what is stated is not true. Russia will not save America. Bernie Sanders has stated and presented facts as to what the corporate and factions of the business sector have done to America. Donald Trump has also pointed out the corruption of America at the highest level, etc. Original Raw Video:SGT.Major Page to St. Louis Oath Keepers:End of America-You Tube. All must see this video and prove it is a lie, and he is nuts. I must confess I believe what he says is true. This outcome can be changed if the will of the people Man Up. Foreign forces in USA and Jade Helm 15 was enough to make some people tap dance fast time. Christopher Jon Bjerknes-Secrets Of The Crypto Tribe (Sabbateans&Frankist)You Tube-You May find this very interesting. World Bankers Stunning Confession-You Tube. A must see to know what they have planned for your future. Deagel.com global forcast for 2025—Military Site’s Forecast For 2025 Collapse Will Lead…IT indicates 68 million Americans in America 2025. There is the possibility that the world will be controlled by a Fascist Communist Collective. There could be intent to reduce the worlds population to 500 million. It could be the final solution is nuke war and civil war world wide to bring in the NWO. What is the state of America today? Were is just law and just regulation, why is the will of the citizen denied by their elected officials? War, Oil, Drugs big profit and control. Enslavement of the people for ultimate power. Perpetual war as means to deceive. What I have stated may not be true. Research for facts. References may not be true. My intent is for educational purpose only. Any mistakes were not intended. Knowledge Will Set You Free. Democracy Cannot Exist without Educated Public. Could you do a piece on TPP (Trans Pacific Partnership)? It’s a great issue these days as 12 nations seemingly came to an agreement. God Bless Christian Russia Forever! Russian Leaflet Dropped on Syrians Names the Jew as ISIS Controller. Bro Nat was the very first blogger ever to identify Putin as the guy wearing the white hat, and the Jews as the guys wearing the black hats. With Russian air strikes paving the way for a renewed SAA ground offensive, the next steps in the liberation of the Middle East are now clear. 1-Iraq joins the coalition and requests Russian air strikes from bases in the West (Syria) and from the Caspian and Black seas. 2-Iran joins the fight with ground forces. 3-ISIS and all “moderate” throat-slitters will be attacked from four fronts: from the West by the SAA, from the South by the Iraqis, from the East by Iran and from the North by the Kurds. 4-The terrorists are annihilated, game over. The Damascus-Baghdad-Tehran Axis under the Russian nuclear umbrella may become Jewmerica’s worst nightmare. Here is a Russian propaganda leaflet being dropped on the Syrian front lines. Your predictions are unrealistic because the US army is too weak to openly and directly engage Russia. Besides Putin is not as naive as you think. He may sound naive by calling on his western ‘partners’ to cooperate, but that is just to leave a record behind of willingness to talk. In the meantime he is all action. My prediction is that after Russia softens up ISIS from the air and the Syrian army sweeps up the pieces, the US will declare victory. Seventy years from now, if Amerika still exists, the American school children will learn how the US defeated ISIS and Russia will not even be mentioned. To the US the biggest enemy is Assad and not ISIS. Even though ISIS has been tearing up the Middle East and killing innocents and Christians. Look for Putin to take advantage of a weak Obama next year and take Iraq, and even Kuwait and Saudi Arabia with the oil fields. We soon will be buying oil from Russia. Thank you Brother Nathanael, you always put in clear perspective. I forward your videos and ask people to donate, I hope it is reaching you. Keep up the God work of exposing the evil, good WILL prevail. Walter Haas has made some comments on Ernie Sanders and Donald Trump in a positive light. Those criminals are nothing but Israeli Rothschild agents telling the public what they want you to hear wich is half-truths and leading you down the rat hole. Sanders is an Israel-firster and Trump is a direct agent of Rothschilds. Where do you think he got the financing for his empire which is really a Rothschild empire. All the people around Trump are Jews and are the most expensive money can buy. And Sanders has never ever voted down an Israel pro. bill. But Haas got it right on Smedley Butler, and FDR not prosecuting. FDR was a Zio-jew shill and used the Depression to almost take us down the road of Bolshevik enslavement. But he succeeded in getting us into WWII. The Zionist war that enabled the Jew to beget a huge lie and steal Palestine from the Palestinians. Would it not be wise not to judge Putin’s intentions by one act, but by what his entire agenda is? I applaud his actions now, but what is his future plans and where are they leading to? I only extend what we have learned from history. How sweet the honey tastes, but soon becomes sour to the stomach. We have also learned this from our own Administration. Ted, you are spot on. This country has become infested with the imposters who have hijacked our foreign policy ever since their phoney 911. It’s time for a great big enema, where they get flushed out of this country. The sooner the better. Trolls on the Internet try to discredit the truth. I know who you are as others do. You are known by your past and present actions. Donald Trump and Sanders are influence by AIPAC and other factions. This does not discredit them when they tell the truth. The United States of Israel. There are no real elections. They are fixed. Most everyone is bought. Albert Pike 3 World Wars. Martial Law as result of financial collapse resulting in NWO take over. SGt Dan Page reference-You Tube. JFK assassination resulted in America becoming a fascist nation. A Police State. Norman Dodd, Antony Sutton, Christopher Story, Eustice Mullins NWO expose the rulers of the world and their intent by documented fact. If Donald Trump is a phony and there are no White Hats then it is over for America. Divide and Conquer. The best way to change reality is war. Putin cannot save America the American people must do it. No will no way. I mention the perversion in U.S. Schools. Illogical Common Core 2=2=5. Teach 5 year old about perversion. A husband and wife do not exist. A boy and girl are no more. Christianity not allowed. Why does the USA Government push this doctrine? It indicates communist fascist run America.These are tactics of communists to destroy nations and their people. Leo Zagami exposed the secret society and D.C..Henry Kissinger has stated NWO as Bush and others have. The NWO is unconstitutional. The CFR supports the United Nations and Agenda 21. TPP and north American Union will destroy nation states. This is why they are drawn up in secret. The elections are phony. No one can be president without support of AIPAC and other lobbies. It does seem to be the United States of Israel. SGT.Major Dan Page sums up the state of affairs for America unless there is action by the White Hats and the American people. You Tube Reference. If some miracle doesn’t occur then this site may be down come January 1 2016. The housing market where I’ve been living here in Summit County CO for the past 10 years is flooded with would-be renters and it’s impossible to find a place to live. Things are looking bleak, VERY discouraging, and, quite frankly, I’m in a CRISIS JUNCTURE in my ministry. My Views and Hits are way up but donations are WAY DOWN. Does anyone think that the high professionally made videos that were made by the five dancing Israeli’s in New Jersey on 9-11-2001 of the NYC World Trade Center attack, should be made available to the US public, as there are no other very good videos of this incident? As Israel is a very great friend of America, then can Israel be trusted to make these very clear 9-11-2001 NYC attack videos available the the US public? You’ve certainly done it again, a truly magnificent Video and instant classic. I read in Foreign Policy that Ukraine may be about to blow…again. The Novorossia republics are simmering down to at least a “frozen conflict” stage, and without the common enemy to focus on, the ultra-right Ukrainian Banderite gangs of thugs are getting nasty with the Kiev Kleptocracy that sold their country to the IMF for big profits on bogus promises of internal reforms. An armed, radical threat could tear Ukraine apart before snow falls in Kiev. There’s a reason most revolutions in Eastern Europe begin in the winter, from Russia in 1905 to Ukraine’s Maidan in 2013. Once the cold settles in, a government’s empty promises are laid bare. Over the next several days, forecasters are predicting, the temperature in Ukraine will plunge to freezing. When President Petro Poroshenko looks at the thermometer, he should be worried. Ukrainians are seething with anger over the plunging quality of life and the government’s failure to purge the country of oligarchy and corruption, the very issues that ignited the 2013-2014 Maidan uprising in the first place. If Ukraine were a stable country, this mounting public disillusionment would manifest itself through an unseating of the ruling party in the next election or perhaps through a referendum of no confidence in the administration. But Ukraine — fresh off a revolution followed by 19 months of war — is far from stable. Its citizens have more weapons than they do trust in their government. If the average Ukrainian can’t scrape together enough money to feed and heat his family in the brutal Ukrainian winter, he will blame Kiev (and the West) and express his outrage not at the polls, but in the streets. Russian President Vladimir Putin is not the only one who would love to see the Poroshenko government fail. Ukraine has an active far-right movement composed of ultranationalist groups, organizations that combine radical political agendas (with racist and homophobic overtones) with sizable paramilitary formations. Some of these groups, such as Svoboda, began as far-right political parties that were on the margins of Ukraine’s politics before Maidan. Others, like Right Sector, were formed out of paramilitary groups of street fighters that merged into a movement during the uprising. As the war against Russia-backed separatists unfolded, these organizations formed volunteer battalions that proved crucial in containing the separatists. As with many things in Ukraine, the far right’s numbers, as well as the extent of Kiev’s control over their battalions, remains nebulous. In July, Right Sector’s Dmytro Yarosh was able to call up around 5,000 members for a march in Kiev, though how many of the participants were fighters as opposed to party supporters is unclear. Likewise, the Azov Battalion, which has been banned from receiving U.S. training and weapons by Congress, has been nominally under Kiev’s control when it comes to fighting separatists; where Azov’s loyalty lies when it comes to facing Kiev is an open question. What is clear is that these groups are capable of sowing immense chaos and carnage, as was proved on Aug. 31, when grenade-wielding thugs from Svoboda killed four Ukrainian National Guardsmen and wounded 138 others in front of the parliament building in Kiev. This attack was far from the first time that the far right has threatened Kiev or spilled blood: On July 11, Right Sector was involved in a deadly shootout with police in the western Ukrainian town of Mukacheve, and members of several battalions have threatened a coup after the fighting in the east is concluded. Up to this point, more or less, the far right and Kiev have shared a common enemy: Russian-backed separatists in eastern Ukraine. But as the violence in the eastern regions abates, the ultranationalists — including their affiliated (and heavily armed) battalions — are turning their attention inward. Over the past several months, these groups have been increasingly ratcheting up the pressure on Poroshenko, declaring his administration to be an “internal occupation” and calling, as Right Sector put it, for the “new phase” of the revolution. Kiev and the far right are at a stalemate. Poroshenko doesn’t have the power to disband the ultranationalists (the administration’s response to the Aug. 31 bloodshed has been restricted to a handful of arrests), but the far-right factions aren’t able to openly move on Kiev either. For that, they’ll need to have everyday people protesting in the streets. They need another Maidan. This is why two narratives are currently battling each other in Ukraine — across op-eds, social media, and news conferences. Poroshenko is exhorting his compatriots to stay calm and look to the future. The far right, meanwhile, is exploiting frustration and anger. In September, IMF chief Christine Lagarde wrapped up her visit to Kiev by praising reforms carried out by Ukraine as “astonishing” and urging Poroshenko and Prime Minister Arseniy Yatsenyuk to stay the course. From a big-picture perspective, Lagarde is correct: Kiev’s accomplishments are remarkable considering that it had inherited a country saddled with debt, paralyzed with corruption, and bleeding from a devastating war with Russian-backed rebels. The fact that Ukraine hasn’t imploded is in itself a testament to both the Ukrainian people and Western aid. But the average Ukrainian doesn’t have the luxury of looking at the big picture. Utility tariffs have skyrocketed, as have prices for goods and services and the unemployment rate. The eastern regions are in the middle of a humanitarian crisis, with more than 1.5 million internally displaced people subsisting on the mercy of volunteers and sporadic funding from Kiev’s strained coffers. A July poll showed that only 3 percent of the country is satisfied with the pace of change, while Yatsenyuk, the man responsible for carrying out the IMF’s reforms, has an approval rating of 11 percent. Each week brings winter closer, making austerity measures such as reduced social services and raised utility fees bite harder. Meanwhile, the far right’s cry will resonate more and more. Perhaps the clearest indicator of this has come from the way in which some of Ukraine’s bigger parties have taken up ultranationalist talking points while distancing themselves from Poroshenko. In early September, Oleh Lyashko, the leader of the Radical Party, which officially split from Poroshenko’s coalition, denounced the president as Ukraine’s biggest criminal. Throngs of protesters are the far right’s fuel, and once they are in place, the country has no shortage of explosives. Under the most optimistic scenario, a far-right uprising would greatly destabilize Ukraine; Poroshenko wouldn’t be able to continue implementing IMF reforms if he were busy fending off an armed insurrection in the middle of Kiev. At worst, this would set off a chain of events that would rapidly turn the country into a fractured, failed state of 45 million people in the middle of Europe. To give democratic Ukraine the best chance to survive, Washington must minimize the chances of citizens rising up once winter hits. Statements of solidarity aren’t enough. What’s needed are food, clothing, medicine — tangible, visible, and immediate relief, all stamped with “Courtesy of Kiev and the United States” — to ensure that the people of Ukraine continue to believe that they have a positive future with the West. This isn’t a novel idea. During the Cold War, the State Department turned it into an art form. From the Berlin Airlift in 1948 to the Russian-language Voice of America broadcasts beamed into the Soviet Union through the 1980s, the United States has a long history of analyzing the situation on the ground, predicting the needs of the population, and acting to win over hearts, minds, and stomachs. America’s current Ukraine policy has mostly neglected this kind of aid. That’s a shame. Washington has an opportunity to mitigate what the United Nations describes as an impending humanitarian disaster while combating the destabilizing power of Ukraine’s far-right radicals. It’s an opportunity that shouldn’t be ignored, because if angry, starving people take to the streets of Kiev, the result is likely to be most unpleasant, both for Ukrainian and American interests in the region. Meanwhile, the temperature is continuing to drop. This would be hilarious if it wasn’t so horridly tragic! Obama puts the blame on the Syrian “rebels” who were recruited to fight the legitimate President Assad and overthrow the Syrian government to begin with, by saying they focused more on what the CIA trained them to do–fight Dr. Assad– than they did on ISIS. Obama should just give it up. Now the Pentagon brainiacs wants to build a “Syrian Arab Coalition” to fight alongside Syrian Kurdish forces against the Islamic State. WASHINGTON — After struggling for years to identify groups in Syria that it can confidently support, the Obama administration on Friday abandoned its effort to build a rebel force inside Syria to combat the Islamic State. It acknowledged the failure of its $500 million campaign to train thousands of fighters and said whatever money remained would be used to provide lethal aid for groups already engaged in the battle. But officials said they were trying to adapt their strategy by seeking to identify the leaders of “capable, indigenous forces” in Syria who — after what the officials described as a vigorous vetting process — will be the first time the Pentagon has given military equipment to rebel leaders to distribute to their forces engaged in fighting on the ground. The C.I.A. has for some time been covertly training and arming groups fighting Mr. Assad. The shift in strategy comes amid a huge deployment of force by Russia in support of Mr. Assad, who has clung to power since the civil war began in 2011. Russian warplanes have conducted scores of airstrikes, and Moscow has fired a barrage of cruise missiles at targets in Syria. Mr. Assad and his allies, Russia and Iran, say he is a bulwark against all manner of terroists, including the Islamic State. The United States has long insisted that Mr. Assad is the problem and has to go, though possibly as part of a negotiated transition. Pentagon officials announced what they called an “operational pause” in the training program on Friday, as Defense Secretary Ashton B. Carter left London after meetings with his British counterpart, Michael Fallon, about the continuing wars in Syria and Iraq. Officials said they held out the possibility that some training might resume. In Washington, White House and Defense Department officials said the equipment to be provided to the rebel groups would be “basic” in nature and would not include antitank rockets or other high-end equipment that could eventually fall into the hands of groups that commit acts of terrorism against the United States or its allies. “We are very careful to provide support to groups who are not involved in that type of activity,” said Benjamin J. Rhodes, the deputy national security adviser. But officials spoke only in general terms about their methods to monitor equipment. They said some of the groups that would receive equipment were familiar to American commanders. The closing of the program comes as the administration’s attention is shifting to northeastern Syria, where it hopes to assemble a group of Sunni tribes in a “Syrian Arab Coalition” to fight alongside Syrian Kurdish forces against the Islamic State. The new program, the official said, will begin in the next few days, though it may well run into many of the same problems of conflicting loyalties and ancient animosities that helped sink the first effort. Anti-Assad insurgents say they have never heard of a group called the Syrian Arab Coalition, though they welcomed the prospect of increased support. “We have received large promises surrounding future military aid, and we really did begin to receive equipment,” a spokesman for Thuwwar al-Raqqa, a Sunni group that has worked with the Kurds, told the website Syria Direct. But many Arabs, especially in northeastern Syria where there are large Kurdish populations, are wary of the Kurds’ project to carve out semiautonomous areas for their people, and have accused Kurdish militias of carrying out ethnic cleansing in the mixed area. Officials said the equipment, which will be supplied to leaders of Syrian opposition groups, would include weapons, ammunition and communication equipment. A senior Defense Department official, who was not authorized to speak publicly and who spoke on the condition of anonymity, said that there would no longer be any more recruiting of so-called moderate Syrian rebels to go through training programs in Jordan, Qatar, Saudi Arabia or the United Arab Emirates. Instead, a much smaller training center would be set up in Turkey, where a small group of “enablers” — mostly leaders of opposition groups — would be taught operational maneuvers like how to call in airstrikes. While many details of the new approach still need to be worked out, President Obama endorsed the shift in strategy at two high-level meetings with his national security and foreign policy advisers last week, several American officials said. The change makes official what those in the Pentagon and elsewhere in the administration have been saying for several weeks was likely to happen, particularly in the wake of revelations that the program at one point last month had only “four or five” trainees in the fight in Syria — a far cry from the plan formally started in December to prepare as many as 5,400 fighters this year and 15,000 over the next three years. The administration was expected to provide classified briefings to lawmakers and their senior aides on Capitol Hill on Friday to explain the impending changes to the train and equip program. “The opposition and their regional backers wanted the program, they just couldn’t accept ISIS as the priority and U.S. ambiguity on taking out Assad,” said Andrew J. Tabler, an expert on Syria at the Washington Institute for Near East Policy. The shift in strategy comes as Mr. Obama has approved two important steps to set in motion an offensive against the Islamic State in northeastern Syria in the coming weeks. Mr. Obama ordered the Pentagon, for the first time, to directly provide ammunition and perhaps some weapons to Syrian opposition forces on the ground. He also endorsed an idea for an increased air campaign from an air base in Turkey, although important details of that plan still need to be worked out. Together, these measures are intended to empower 3,000 to 5,000 Arab fighters, a conglomeration of 10 to 15 groups, who would join more than 20,000 Kurdish combatants in an offensive backed by dozens of coalition warplanes to pressure the Islamic State in Raqqa, the militant group’s main stronghold in Syria. American military officials have screened the leaders of the Arab groups to ensure that they meet standards set by Congress when it approved $500 million last year for the Defense Department to train and equip moderate Syrian rebels. Under the shift in strategy that emerged on Friday, the administration would now focus more of its efforts on equipping these Arab fighters and inserting some of the trained Syrian rebels within their ranks. Right. “Moderate rebels” a month ago, FSA two weeks ago, Al Qaeda last week, ISIS this week, and “Syrian Arab Coalition” next week. What will the CIA’s international Juhadi army morph into next with a change of arm patches? The last time America trained rebels and ended up with a working country at the end was when we trained and armed ourselves, and started the Revolutionary War. The L.A. County Library just blocked realjewnews.com from its internet. I’m going to complain about it, fyi. On September 2, 1982, Hieromonk Seraphim (Rose) of blessed memory reposed in the Lord after years of monastic labors in the St. Herman of Alaska Monastery, Platina California, which he co-founded. His legacy lives on around the world, and especially in Russia, a country about which he often wrote. The experience of Orthodox believers in Russia was a major theme in Fr. Seraphim’s lectures and writings, and he often used them to illustrate important points concerning contemporary Orthodox life. Although the following lecture was presented in 1981, before the fall of communism in Russia and the collapse of the Soviet Union—events essentially described in the prophecies Fr. Seraphim cites—and much else has happened which Fr. Seraphim did not live to see, the message of his lecture continues to be relevant. “But ironically—and providentially—as Orthodoxy has seemed to retreat, Russia (or rather, the Soviet Union, the atheist regime that has enslaved the Russian land) has advanced and now has a leading, perhaps the leading position in the world history of our times. “Therefore, what is happening in the Soviet Union today is looked to with great interest by the rest of the world. And significantly, a good part of what is happening in the Soviet Union today concerns the life of the real Russia—Orthodox Russia. “The Orthodox revival in Russia today is closely bound up with the future of the Russian land. “In the 19th and early 20th century Russia before the Revolution of 1917, there were prophecies of spiritual men not only concerning the coming of atheism to Russia and the epoch of blood and slavery which it introduced into the world, but also concerning what would happen to Russia after this epoch, if the Orthodox Russian people would repent of the sins which produced it. Books by Father Seraphim (Rose) played a very important role during the period of my life when I was coming into the Church. When I read during the early 1980s in samizdat Orthodoxy and the Religion of the Future and Signs of the End Times, I was stunned by his ability to connect and place into Christian context the scattered and multi-faceted phenomena of modern times. He taught me that that the history of mankind, indeed the very life of every person is filled with meaning. Father Seraphim has remained a unique example of a missionary in whom were combined a powerful mind and asceticism, and the ability to speak with fervent faith to his readers in their own language. His path to Orthodoxy was thorny, but through his personal experience and choice by both the mind and the heart, he brought and will continue to bring a multitude of people to the Church. Is Putin Jewing The Jews? Do you think Putin is unaware of these pamphlets, that clearly show that Israel and America are behind ISIS? Do you think Putin is a secret crypto-Jew working for the Jew? This thread is about Russia and it’s most important that you know the TRUE history of the Jews in Russia. Otherwise it just don’t make sense. What really happened in Russia 1917 was a Jew coup. The Jews stole the world’s largest country and the first thing the Jews did was that they killed the entire Russian intelligencia and killed the entire Russian clergy. What the Jews did then was they moved into the now dead Russian elites houses, hence the Jews replaced the old Russian elite with a Jew elite. In December 1922 the Jews was so sure they had total control of Russia that the Jews changed Russia to Soviet Union. Israeli Media Reveals The Secret Behind Communism —-15 min, by David Duke. In 2004, AJC led a successful effort to keep federal funds out of Catholic schools. U.S. District Judge Gladys Kessler sided with the American Jewish Congress, which argued that federal funds were being used to pay for teaching of Christian values through programs such as the University of Notre Dame’s Alliance for Catholic Education. AmeriCorps argued that its funding based on a program’s secular activities, not the religious teaching. But Judge Kessler ruled that the religious and secular activities were not sufficiently separated or monitored. I’ll get back on this because American Jewish Congress was very much in the center of the Zionist Jews global doings in the 1930s. Download the Tor browser to a flash drive. Open Tor from there. Tor will get you to the growing list of sites which are they are blocking. At least read about it and learn how it routs to various IP addresses to hide yours. LONDON, Sept. 16. - Word has been recived in London from Homburg of the death of David Wolfsohn, the well known Zionist, who was at one time Chairman of the International Zionist Committee. The video above, a two-minute clip published on Wednesday by Agence France-Presse, captured an altercation in the West Bank between Palestinian protesters and Israeli security personnel. The video shows a group of perhaps eight Israeli undercover cops, garbed in Palestinian keffiyehs, standing among a crowd of other Palestinians. They appear to be hurling rocks at Israeli security forces down the road near Beit El, an Israeli settlement outside the city of Ramallah. Then, suddenly, the undercover cops turn on the protesters, draw guns, and beat up a handful of Palestinian youth. One Palestinian male, in particular, receives an endless torrent of kicks and punches from both the undercover cops and Israeli soldiers. Accounts from observers, including the Jerusalem bureau chief of Reuters, indicated that the Israeli undercover operatives had participated in the clashes with the security personnel, who later came rushing down and aided in the arrests of a number of Palestinians. Vladimir Mamontov is one of the best known journalists in Russia. Formerly Editor-in-chief of Izvestia, Russia’s largest daily newspaper, he is currently the CEO of a large radio station and a popular blogger. The ideas in this short post, which originally appeared on Facebook, accurately reflect what a wide majority of Russians are saying about Syria, their response to Western reactions conveyed in the media. 1. The Syrian army will provide Russia with the identities of killed ISIS fighters, to the extent that this is possible. These notices will contain the names of people who joined ISIS out of zealotry, greed or stupidity. At least 4000 ISIS troops come from countries of the former Soviet Union. 2. Our opponents will go above and beyond their usual efforts to “prove” that we are bombing the wrong people and that we are “bombing civilians or moderate opposition”. What do we have to say to that? - With all due respect ladies and gentlemen, piss off! 3. Assessing the validity of the oxymoron “military positions of the moderate opposition” will now be the responsibility of the Russian armed forces, who will gladly take over the task from the chattering classes. 4. Projecting power with our armed forces beyond our borders is from now on going to be a daily reality for Russian foreign policy, joining that other pillar of Russian power, our nuclear deterrent. This is not very pretty, but that’s the world we live in today. 5. People can argue about the legality of Russia’s action in Crimea, but in Syria we are acting in the strictest possible compliance with international law. This returns Russia to the moral high ground. Claims about “Assad’s tyranny” have become meaningless because he is fighting (with the support of our Air Force and Iran which is in a new phase of cooperation and raprochement with the West) against those who decapitate Christians and other ordinary civilians. 6. Boneheaded John McCain, who seemingly didn’t get enough war during his Vietnam captivity era, is now bawling that the US has lost the initiative. You had the place to yourself for three years! What the hell were you doing all this time, playing footsie? 7. Amidst all the developments in Syria, Poroshenko (who at the UN was hanging on to Obama for dear life, while Obama spitefully reproached him with: “Well, Petro, when are you going to invite me to your Crimean resort?”) is now in a serious jam. I doubt the recent increase in the sales of his chocolate company will be enough to compensate the bitterness of the rest of his life. As Alexander Lukashenko (the president of Belarus) pointed out in his speech to the UN, “God sees it all”. 8. Russia is waging a pre-emptive war in Syria. It’s about time! 9. Guys, be careful, and fly with the angels! Pictures: Activists published captured pictures online from the Syrian border where terrorists under the banner of Al Qaeda shaved off their beards before fleeing into Turkey after decisive victories and major territory gains for the Syrian Arab Army and allied combined forces on the Hama and Idlib fronts and the Latakia countryside. The photos show nasty looking piles of discarded clumps of beards, combs, and scissors according to the article which I can’t quite spot. This is being taken as evidence that the Syrian government counter operations were terrifyingly effective at breaking down terrorist defenses and morale enough, that they bolted for the Turkish border. Moscow, SANA- The Russian Aerospace Forces have conducted 64 sorties in Syria hitting 55 ISIS targets during the past 24 hours, the Russian Defense Ministry said Saturday. SPUTNIK Russian News Agency quoted the Russian Defense Ministry’s spokesman Maj. Gen. Igor Konashenkov as saying in a statement that the Russian Air Force jets have destroyed 29 ISIS field camps and ammunition depots in Hama province, adding that the strikes also hit two ISIS command centers and 23 strongholds. He added that Russian Aerospace Force’s strikes destroyed ISIS major technical, logistic support objects as well as a fortified area equipped with firing points, mortar emplacements and ammunition depots. Konashenkov pointed out that the strikes were conducted by Su-34, Su-24M and Su-25SM aircraft, adding that the Russian airstrikes in Syria have significantly reduced ISIS’s combat potential, their mobility as well as offensive ability. Currently, ISIS is conducting an “active redeployment” of weapons, military equipment and vehicles with ammunition almost on the whole territory of Syria aimed at the “urgent restoration of combat capability of the operating armed gangs,” Konashenkov added. The Russian military has increased the intensity of combat flights in Syria as the number of ISIS targets has grown, the Russian Defense Ministry’s spokesman said. “The increased intensity of the combat missions of our aircraft is related to a significant rise in the number of ground targets identified by means of air and space reconnaissance throughout the territory of the Syrian Arab Republic” Konashenkov said. Since 30th September, the Russian Air Force has carried out air strikes as part of the agreement between Syria and Russia to combat terrorism and eliminate ISIS terrorist organization. Russian sorties on Friday left 300 terrorists dead in Aleppo, Raqqa, Hama, Idleb and Lattakia and destroyed 60 targets for ISIS terrorists. Most all person’s of the Jewish faith ask the question of how could God have ever permitted the alleged Jewish Holocaust to happen. But no one ever mentions the possibility that it was the Zionist Jews who designed and carefully brought about and ended the Jewish Holocaust, for the purpose of bringing into Israel a very large population of Jews to live in Israel who would want to remain in Israel, and not leave. All prior efforts by the Zionist Jews to populate the land of Israel with a large population of Jews failed, as most departed Israel and did not stay. Putin video, good english subtitles. 7 min. The headline is NOT correct. Putin does NOT name the Jews, but this is Putin in his own words, not the lies the Jew “media” tells you. Putin says he think US and Russia really have the same geopolitical interest, but somebody is stirring s**t up and warmongering. Putin Tells Everyone Exactly Who Created ISIS —7min. Who is that woman? She has two camera teams doing nothing but recording her. Two angles. Bomb in Turkey. Close to a 100 dead and 200 wounded. Short video. KathJuliane’s post says it all. “US planes violated Syrian airspace to destroy 2 power plants in Aleppo”. Russia has called Jewmerica’s bluff. The whole world can now see the deception and what the fake NATO bombing campaign was all about–to make a smouldering ruin of the nation of Syria and to destroy its legitimate ruler President Assad (who got 87% of the vote). Destroying the MOSSAD-CIA created asset known as ISIS was never the objective of this bombing campaign! In all this one must place the blame where it lies–Jewish NEOCONS and the Jewish lobby groups that have turned the U.S.G. into their proxy and used it to visit nothing but evil on the world. I am one of those “Jews” who lived in Israel in the late 1970s (after my nervous breakdown, due to my ruthless and racist Russian Jewish daddy). I left after 9 months, after doing the Kibbutz, I have never returned since, and have since visited Russia (but never Israel again). 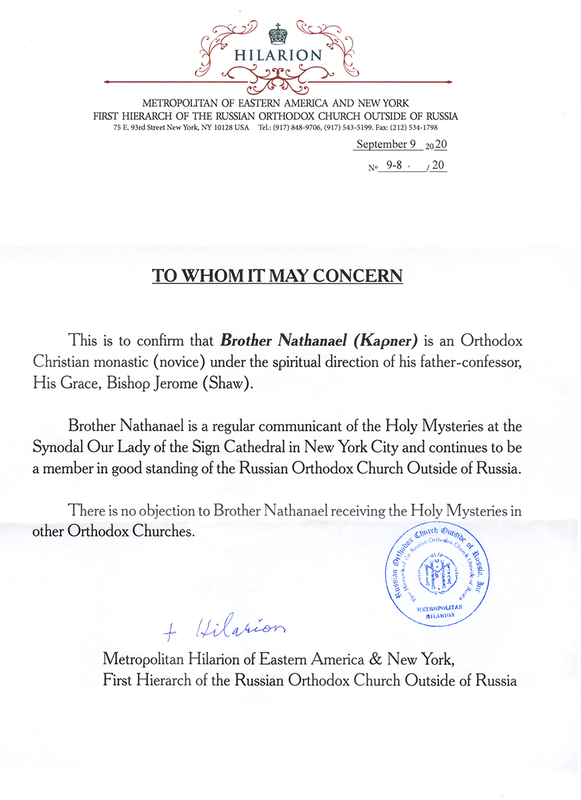 I, like Brother Nathanael have no longer any “stake” in the Hooknosed community. I have “burnt my bridges” with the Hooknosed community long ago and they have reaped what they have sowed. Now everybody hates their guts and have only themselves to blame for that!